When it comes to game day, I'm one of those stay in the house and watch the game type of people. Homegating is more my style than tailgating, simply because I love to be home and entertain! There's nothing like spending the day with my closest friends and family, seeing what types of delicious food everyone shares, while cheering on our favorite teams! Food, fun and family always makes the greatest memories! And besides, who doesn't want to be all warm and cozy inside, instead of braving the cold for a typical tailgating party? 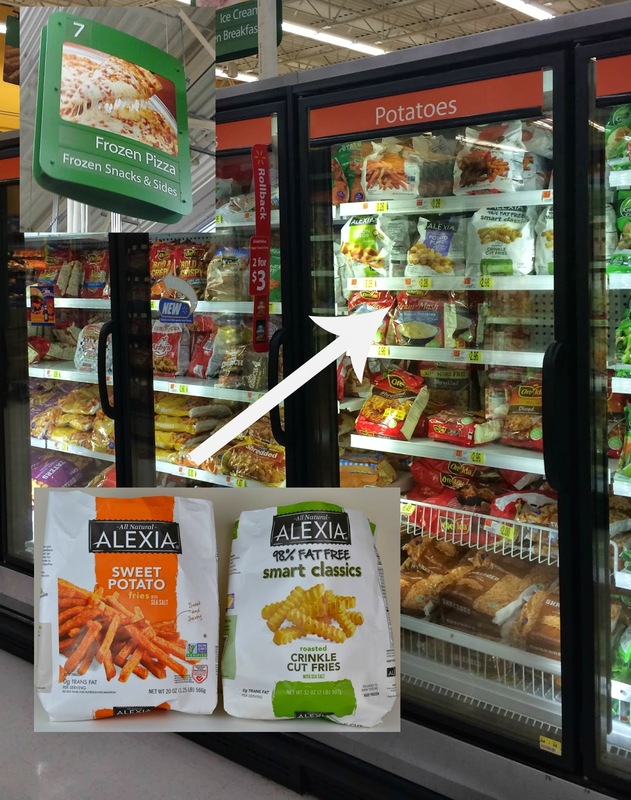 For our last game time get together, I stopped at my local Walmart and picked up some delicious Alexia Frozen Sweet Potato Fries and Alexia Smart Classics Roasted Crinkle Fries. Seriously, where have these fries been all my life? The quality is great, and the taste is even better! I never knew baked fries could taste this good! The Smart Classics Roasted Crinkle Fries are actually 98% fat free, so you don't feel guilty when eating them! Perfect for homegating especially since they are so quick and easy to make! One appetizer that doesn't require a lot of prep or cooking time. I love having that versatility! 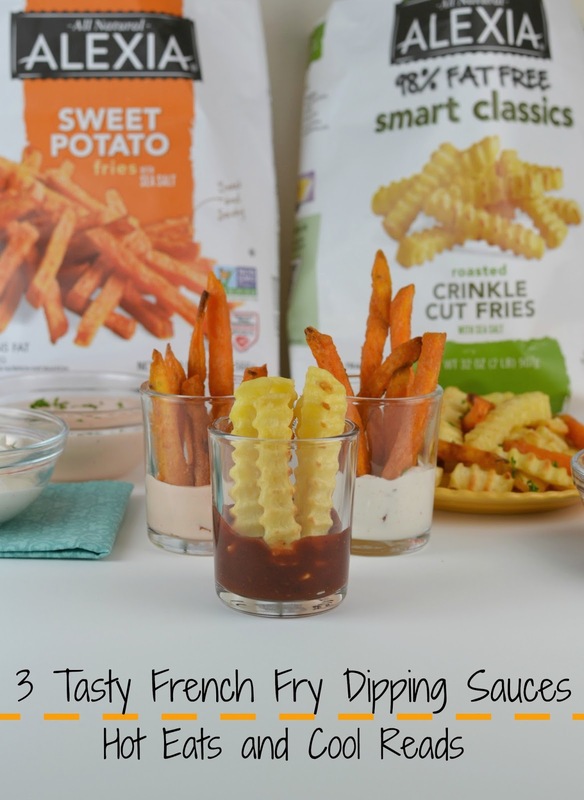 I created 3 fabulous fry dipping sauces to pair up with the Alexia fries! 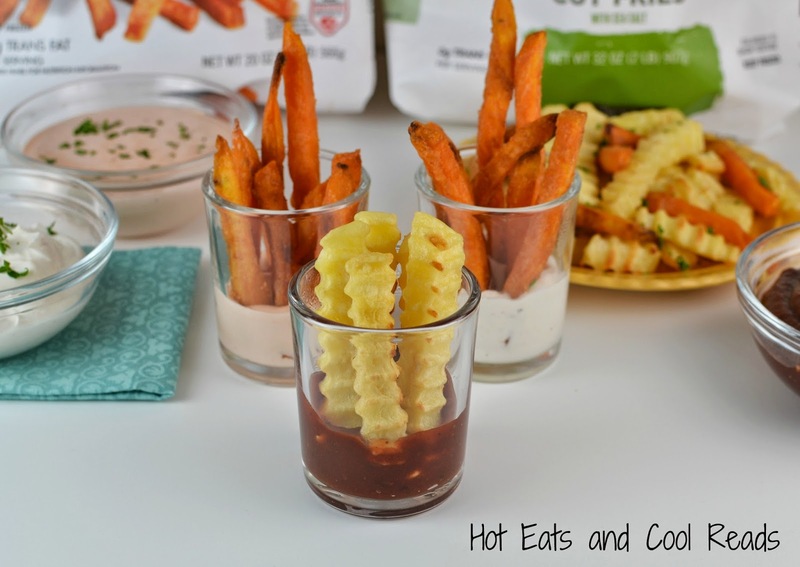 The Seasoned Sour Cream Sauce and the Buffalo Dipping Sauce go great with the sweet potato fries, and the Strawberry Balsamic Ketchup goes great with the crinkle fries! I also love serving the fries with the dipping sauce in the cute little glass cups! It works perfect for single servings, when everyone is mingling and watching the game! These sauces and fries were so good, I found myself sneaking in the kitchen at 11pm that night to bake some more fries to finish the leftover sauces. Shhhh, don't tell! I really didn't want to share them! They're that good! Enjoy! Combine all ingredients in a bowl. Refrigerate until serving. Have you tried any Alexia products recently? Let me know what your favorites are in the comments below! For more game time inspiration, find Alexia on Facebook or Pinterest! I have a weakness for dipping sauces. They all sound wonderful, but I am really intrigued by the strawberry-balsamic ketchup dip! Ooh, all of these dipping sauces look great! I'd love to try the sour cream sauce! This looks fabulous! and I love the shot glasses. 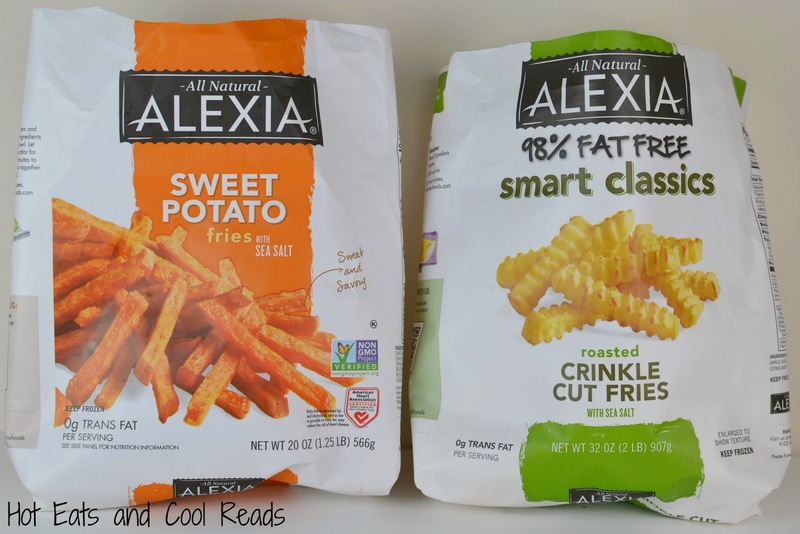 I love Alexia potatoes, especially the sweet potato fries. These dipping sauces look wonderful. Pinned! These look awesome! Such a cute post with amazing sauces. I LOVE ALEXIA! I love these dipping sauces since I'm such a fry fiend!! 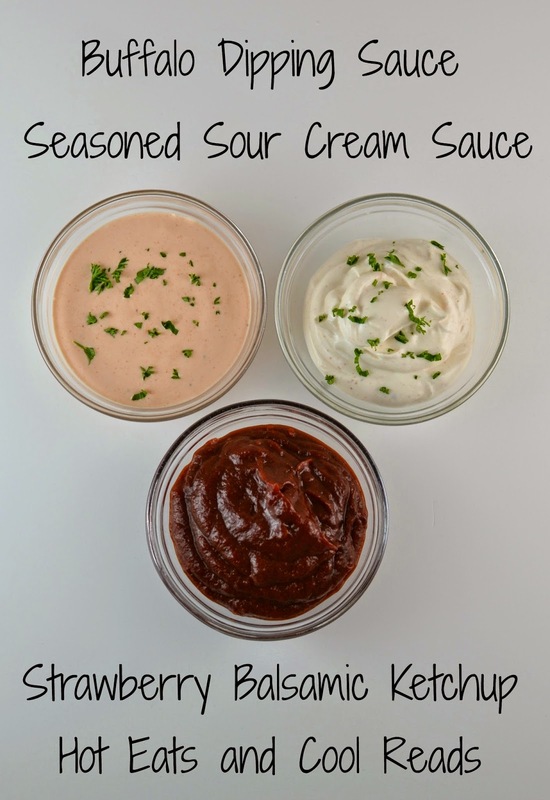 I love dipping sauces, these sound great! I looooove Alexia products! All of these sauces sound fantastic, but I am SO making that Strawberry Balsamic Ketchup asap...I'm not going to be able to get it off my mind until I do. Alexia potatoes are my fist pick when I pick them up at the grocery store. Love the fun dipping sauces. Perfect snacks! I think everyone likes to dip their fries in sauce right? It all sounds great :) We make a buffalo dipping sauce pretty much every time we do chicken and fries! You gotta have something to dip your fries in. These sound great! Oh they all sound good, but I especially love the Buffalo Dipping Sauce! I love the sauces you created! They all sound so good! I love Alexia products too! !